Documents have been leaked over the social media which shows the Ministry of Housing and Infrastructure paid millions to Strada Private Limited for organizing multiple events. The documents show Strada – the parent company of New Port Restaurant – has been paid at least MVR 44 million for organizing opening and closing ceremonies for multiple projects run by the State. 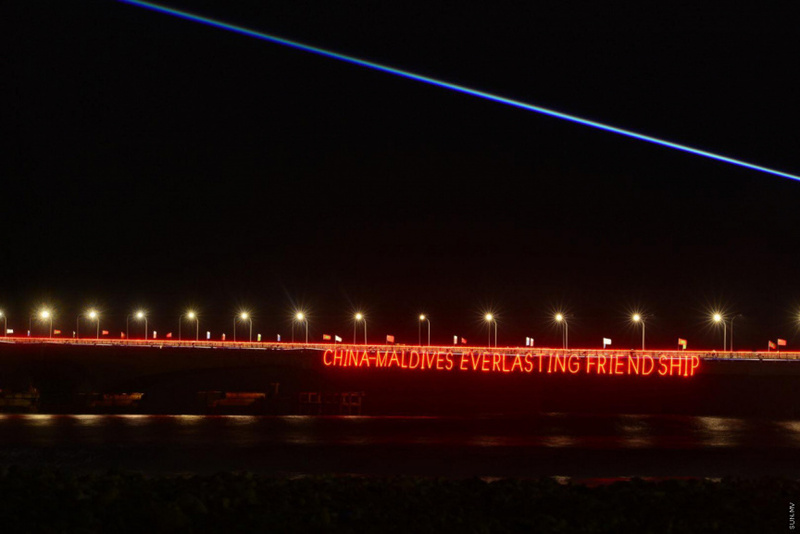 The biggest payment to Strada was made for organizing the opening of the China-Maldives Friendship Bridge (Sina-Male’ Bridge). More than MVR 17 million was spent on the fireworks used in the ceremony. The documents show MVR 6 million alone was spent on the charter flight to transport the fireworks to Maldives. More than MVR 16 million was spent on lighting, sound and entertainment for the bridge opening ceremony. The documents show more than MVR 32 million was spent on the entire bridge opening ceremony. And the money was paid to Strada. The company was also paid large amounts of money from the housing budget for the opening ceremony of the Male’ Harbor Food Court and functions to inaugurate harbors in multiple islands. It includes the inauguration of Guraidhoo Harbor and function to mark completion of the Kanditheemu Land Reclamation Project. Ministry of Housing and Infrastructure has not made any comment regarding the documents.